Read novel online » God Of Slaughter » Chapter 1435 Enjoy A Carefree Meal! God Of Slaughter Chapter 1435 Enjoy A Carefree Meal! The Power Upanishad Symbol Tower spun and released a dazzling, rainbow-like light. It looked like an eternal sun. Light columns that were hundreds of meters long shone directly on the Power Upanishad Symbol Tower. The tower was now bigger and more intimidating. It was more colossal than a mountain. Standing next to it, Shi Yan, Ming Hao and the others were like small b.u.t.terflies or gray light dots. The Power Upanishad Symbol Tower slowly descended and brought pressure that could even destroy the entire world. So many lights shot rapidly like meteors. All the restrictions, barriers, and formations bloomed magnificently like fireworks. Their debut was so marvelous, but their ends came close after. Ling Mei groaned in agony. Her face twisted as she felt her energy all get drained. She was deeply frightened. Batum was bewildered. Seeing the Power Upanishad Symbol Tower slowly pressing, he changed his face and screamed, "Retreat!" Instantly, everybody urged their power and fled as fast as possible. They were afraid that the Power Upanishad Symbol Tower would smash them. The Power Upanishad Symbol Tower sat like a mountain and mashed all ruins of palaces and towers. Eventually, it stood majestically on the ground. Shi Yan was bewildered. He couldn't help but scream. "Awesome!" Ming Hao and the G.o.d Lord looked surprised. They felt awkward when the Power Upanishad Symbol Tower landed. It seemed like the Power Upanishad Symbol Tower could draw the power from the light curtain. The moment it landed, a power that could destroy the world appeared and made Ming Hao and the G.o.d Lord feel small. They exchanged looks and they saw fear in each other's eyes. They understood that if they hadn't ducked and stayed right under the tower, they wouldn't have escaped death when it pressed down. That power was even scarier than the Heaven Might! "How could you do that?" Mei Ji's beautiful eyes rippled beautiful light. She smiled as if she was enjoying the New Year's celebration. "It's so interesting to see Ling Mei like a stray, gray dog." Ling Mei ran away from under the Power Upanishad Symbol Tower. She had dust all over her body and even in her hair. She looked indeed helter-skelter. The Black Guards of the Mysterious Sky Clan were aghast. They looked at the tower and shivered. Telika and Yerburgh had gloomy eyes. They looked terror-struck. "It seems like your defense is useless. Haha, I thought you were tough enough, weren't you?" Mei Ji giggled and moved like a graceful snake woman. Her hips swayed on her way toward Ling Mei. "Come and have a decent fight. Let's see if you can defeat me." Mei Ji looked cold instantly, ice spreading in her eyes. Under her feet, the rocks were frozen and shattered. Pieces of ice shot everywhere. Her long hair flew in the wind like icy, silver needles, which made her wilder and colder. Instantly, hundreds of thousands of tiny ice needles shot out from her body. Unexpectedly, she was the first one to take action. "I have to go home, really. I don't want to waste more time." The G.o.d Lord strode and light congregated above his head, creating a dazzling world of colorful light. A light ball that looked like a whole planet made of gold flew out of his Incipient Extent. The light ball spun, crushing s.p.a.ce and falling on Telika, Yerburgh, and Farlow. The ma.s.sive gold lances were like hedgehog spikes that shot toward them. Telika, Yerbugh, and Farlow, the three outstanding warriors of the Seven Great Clans, looked like they were made of gold under that gold light. The gold light on their bodies was blazing to the others. Telika spurted blood. Countless gold, gory holes appeared on his body as he began to bleed terribly. Yarburgh and Farlow weren't better. They were also bleeding when the gold lights. .h.i.t them. They were taken down. Shi Yan glided past the Power Upanishad Symbol Tower. While moving, he whispered something. The black hole flew out of his glabella. Just a like a ma.s.sive mouth, it opened and s.n.a.t.c.hed Yerburgh, Farlow, and Telika. It was ready to swallow their soul altars when they got out of their bodies. Seeing the black hole coming, Yerburgh and the other two were desperate. They knew that they couldn't even escape using the soul. "You can't flee," the G.o.d Lord strolled to them, light radiating from him. Beams of holy, pure light cut and gashed their bodies like sharp blades. They were minced into pieces of flesh. Farlow was also at Third Sky of Immortal Realm. However, she didn't have a bit of energy to resist the G.o.d Lord. As their bodies were destroyed, their soul altars had to leave quickly. They tried their best to run. There came a terrifying suction force from the black hole that was aimed at their soul altars. Invisible ropes tied them down. No matter how hard they wiggled, they couldn't escape. One after another, they were sucked into the black hole. After the three soul altars were dragged into the black hole, Shi Yan's soul felt like he was having a great feast. Both of the souls were extremely satisfied. "You guys should go with them too." The G.o.d Lord sounded calm. His shadow swiftly moved and reappeared by the members of the Mysterious Sky Clan behind Ling Mei. A new world of magnificent light arose and turned into a ma.s.sive hand of a Light G.o.d that grabbed the Black Guards. They were squeezed to death. Shi Yan's black hole came after and swallowed the soul altars of those Black Guards. He felt happier, indeed. At that moment, his body moved agilely like a merman to help the Devouring power Upanishad collect the Essence Qi from the others' bodies. His acupuncture points started to get busy. In just a short time, the G.o.d Lord solved Telika, the Black Guards of the Mysterious Sky Clan, and the others single-handedly. Still wearing an indifferent face, he shook his head and said regretfully, "They're weaker than Xuan He and Frederick." 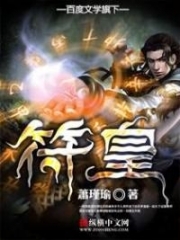 As they were at Third Sky of Immortal Realm, Farlow was one level higher than Xuan He and Frederick. However, their real competence was much weaker. Of course, it was because the G.o.d Lord had recovered his consumed energy after resting for a long time. As the bold one who dared to stand against Bloodthirsty, of course, he had his own intimidating aura. "If you want to kill me, you have to pay a painful price. Do you not believe it?" Batum's round body floated in the void. So many tornadoes followed each other, hovering like giant gray dragons by him. Those tornadoes touched both the sky and the ground, swaying and rolling. They were like gray smoke and mist that burst to the sky or the tongue of some fearful demons. 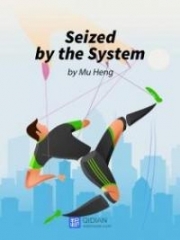 A strange energy fluctuated from the center of those tornadoes, which made Ming Hao frown. Shi Yan focused on sensing and then spoke, "It's Dark Energy! Those tornadoes have bits of Dark Energy in the center. He has not reached the Territory Ancestor Realm yet so he can only use the energy that way. Even if he doesn't understand the Dark Energy thoroughly, it's still very powerful." Pausing, Shi Yan reminded, "He wants to risk his life!" Ming Hao pouted his lips and said coldly, "He's way behind our Master from that year. Yeah, he's millions of miles behind. He's just an amateur with a shallow understanding of Dark Energy and he thinks he can overturn this situation." Then, beams of light radiated from Ming Hao's body. Instantly, so many big mirrors were conjured in the void. They were like hanging mountains, indeed. When Ming Hao's light shone on them, they reflected so many different worlds and illusions. With countless soul clones, the mirrors had reflected Ming Hao's figure everywhere. There were more than tens of thousands of him now. Ming Hao's reflections had filled the entire sky, creating a sea of people and blocking Batum in the middle. It was like an army of tens of thousands of soldiers attacking only Batum. Batum couldn't tell which was his real body. Shi Yan observed for a while and he eased his mind, continuing to concentrate on taking in the Essence Qi from the dead. With the three supernatural abilities: Soul Control, Cloning, and s.p.a.ce, Ming Hao had become the greatest magician ever in this world. He could even trouble a Territory Ancestor Realm expert; a bungler like Batum was no match. On the other side, Mei Ji wore an icy face, facing Ling Mei and striking crazily. Ice exploded everywhere and sent ice sabers to Ling Mei. Ling Mei was hiding in a water pond where water was surging and creating layers to defend against the ice explosions. Mei Ji sneered and pressed forward. More ice exploded between her and Ling Mei. It looked like countless dynamites had been buried in the ice and went off at the same time, sending so many icicles that were dozens of meters long toward the water pond. Ling Mei paled inside the water pond. The light in her eyes slowly dimmed out. "Well, didn't you brutally attack me?" Mei Ji jeered. "If I hadn't been hurt and still had all my energy, how were you going to defeat me? At this moment, we aren't very different and you're only hiding from me." Ling Mei gritted her teeth and said nothing. "Well, let me tell you something," Mei Ji walked toward her, lowering her voice. "Do you know what is the worst thing you've done?" "You should have listened to Tu Shi Qi. You should have tried your best to create a good relationship with Shi Yan. Then, you could have gotten the Power Upanishad Symbol Tower. With only his individual competence, he couldn't refine the Absolute Beginning Original Symbol. It's obvious. Only those of the Seven Great Clans have the capacity to do that. Because you're greedy, you have to bury your corpse here with nothing. It's really ridiculous, you say. You think you're smart. But it's just you who thinks so. Thus, you're not as strong as me. You will never defeat me! Regardless it is power, will, or judgment!" said Mei Ji arrogantly. Countless icicles shot over and destroyed the water layers, piercing Ling Mei. Ling Mei shook hard, her waist bleeding. The light in her eyes dimmed. Mei Ji wasn't polite. She continued to attack more harshly with her Ice power Upanishad, hitting the water pond directly. Shi Yan squinted and watched Ling Mei for a while. He knew she couldn't escape death this time. Then, he turned to Batum. "G.o.d Lord, sir, if you want to go home early, put more effort. We should finish Batum soon. Don't waste people's time." The G.o.d Lord snorted. Pondering for a while, he jumped into the fantasy world that Ming Hao had created. Shortly after, Shi Yan heard Batum's screeching. It seemed like he wasn't far from death. God Of Slaughter Chapter 1434 Invincible Might From The Sky! You're Read God Of Slaughter Chapter 1435 Enjoy A Carefree Meal! online at NovelOnlineFull.com. You can use the follow function to bookmark your favorite novel ( Only for registered users ). If you find any errors ( can't read,broken links, can't load photos, etc.. ), Please let us know so we can fix it as soon as possible. And when you start a conversation or debate about a certain topic with other people, please do not offend them just because you don't like their opinions. You're reading God Of Slaughter. This manga has been translated by Updating. Author(s): Ni Cang Tian,逆蒼天. Already has 568 views. Current Time is 19-Apr-2019 14:21:45 PM.